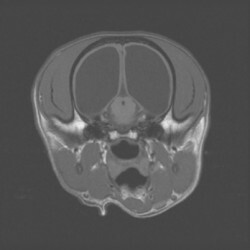 Magnetic resonance imaging (MRI) is a sophisticated computerized imaging technique, which has been a clinical diagnostic tool since 1980. MRI is used to create images with an extraordinary detail of the body or brain by applying nuclear magnetic resonance phenomena. The distribution of hydrogen nuclei (protons), found in cellular water, depends on the tissue type and whether or not the tissue is healthy or diseased. MRI measures and records changes in the magnetic properties of these protons. 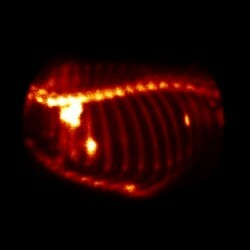 The MRI technique uses a strong magnetic field, pulsed electromagnetic fields known as gradients, and radio waves to excite the protons and produce the image in the region of interest. The image is produced then displayed on a gray scale from black to bright white. The image brightness is a complex function of the hydrogen concentration or intensity. Contrast, described as the difference between signal intensities, provides the optimum difference between light and dark regions of the tissue or organ to help the veterinarian detect lesions, such as a tumor. 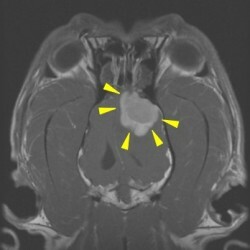 Although MRI is normally a noninvasive technique, contrast agents can be administered to a patient to enhance a region of interest. 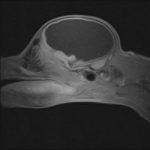 Until recently MRI has had limited application in veterinary medicine, primarily due to the expense of the imaging unit and associated computer needs, as well as the requirement for specially constructed rooms to house the units. 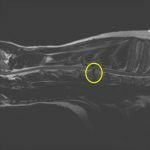 However, a few specialty veterinary facilities including Advanced Veterinary Medical Imaging have obtained their own imaging units for veterinary use. Most veterinary facilities rely on older, used equipment. Our new, state of the art, high field GE MRI scanner will ensure a more efficient and rapid exam. Furthermore, the most sophisticated monitoring equipment available will minimize anesthetic-related concerns. Advanced Veterinary Medical Imaging has acquired the most dedicated and skilled staff available in the MRI industry today in an effort to provide the best care possible for your pet. 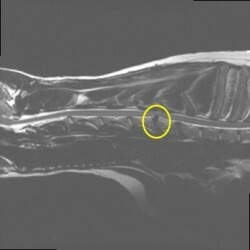 Computed Tomography (CT) imaging is also known as “CAT scanning” (Computed Axial Tomography). 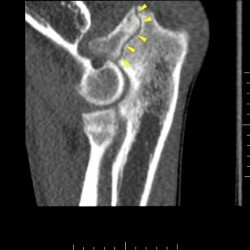 Computed Tomography is based on the x-ray principal: as x-rays pass through the body, they are absorbed or attenuated (weakened) at differing levels creating a matrix or profile of x-ray beams of different strength. This x-ray profile is registered on film, thus creating an image. In the case of CT, the film is replaced by a banana shaped detector, which measures the x-ray profile. The combination of multi-slice CT and new 3D reconstruction promises to allow veterinarians to see even more than ever before. Multi-slice CT systems are at “the cutting edge” in terms of speed, patient comfort, and resolution. CT exams are now quicker and more patient friendly than ever before. 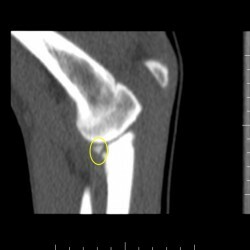 As CT scan times have gotten faster, more anatomy can be scanned in less time. Faster scanning helps to eliminate artifacts from patient motion such as breathing or peristalsis. 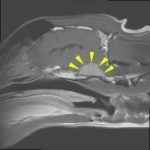 Portal Scintigraphy is a noninvasive technique for diagnosing portosystemic shunts in dogs and cats that do not require anesthesia or sedation. The portal system is comprised of the system of blood vessels collecting and draining blood from the stomach and intestines. This blood supply is rich in the nutrients absorbed from the diet. The portal blood supply also contains potentially large amounts of toxins some of which are absorbed from the diet and others that are produced by bacteria in the intestines. The liver receives approximately 75% of its blood supply from the portal system. By delivering the blood collected from the gastro-intestinal tract to the liver first, the portal system ensures that the liver has the opportunity to utilize these nutrients. The delivery of the portal blood to the liver also ensures that the toxins absorbed from the gastro-intestinal tract are filtered out or inactivated in the liver before the blood is allowed into the rest of the body. Renal Scintigraphy is a valuable tool in the evaluation of kidney (e.g. renal) function that has been used extensively in human medicine for over a decade and has recently become available for use in veterinary medicine. Renal scintigraphy utilizes a technology called nuclear medicine. Nuclear medicine is a branch of diagnostic radiology that provides unique physiological information about disease processes. The practice of nuclear medicine involves the administration of radionuclides (radioactive isotopes), usually attached (or tagged) to drugs that travel to a specific organ within the body. Because these radionuclides emit gamma radiation (X-rays), we can image them using a specialized machine called a gamma camera. The location and relative amount of radionuclide within an organ can tell us about the organ’s function. With renal scintigraphy, the relative amount of the radionuclide extracted from the blood by a kidney is proportional to that kidney’s function, also called its glomerular filtration rate (GFR). Both anatomic and functional information can be obtained using renal scintigraphy. Other imaging techniques like diagnostic radiology and ultrasound are superior for determining the structural or anatomic details of the kidney, but neither technique measures kidney function. Quantitative renal scintigraphy is unique in its ability to rapidly and noninvasively measure individual and total kidney function (GFR) in the awake animal. 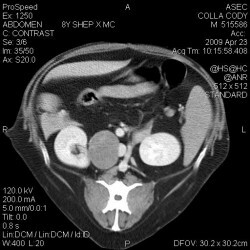 The protocol for quantitative renal scintigraphy requires that the patient lie on its side for less than 10 minutes during which time the radionuclide is injected and images of the kidneys are acquired by a gamma camera and stored in a nuclear medicine computer for later analysis. By measuring the amount of radionuclide taken up into each individual kidney, the computer can determine the kidney’s glomerular filtration rate (GFR). Renal (kidney) disease is one of the most common illnesses affecting veterinary patients. The types of diseases that can affect the kidneys are numerous and include infection, neoplasia (tumors), cysts, nephrolithiasis (kidney stones), injury from toxin exposure (antifreeze, aspirin, acetaminophen, ibuprofen) as well as a number of inflammatory diseases (glomerulonephritis, systemic lupus). Successful management of these diseases depends in part on the ability to measure the extent of disease before and after treatment. While blood tests and urinalyses can measure the total renal function (e.g. the function of both kidneys combined), they do not allow us to measure the function of an individual kidney. In some circumstance, the ability to measure individual kidney function is of dramatic importance. These circumstances usually involve an anticipated nephrotomy (surgically cutting into a kidney, i.e. to remove a stone) or nephrectomy (the surgical removal of a kidney, i.e. to remove a tumor). Under normal circumstances, all animals have enough extra kidney function to survive with only 1 kidney. Unfortunately, this is not always the case in patients with renal disease. Quantitative renal scintigraphy is a valuable tool to assess the renal function that will remain following these types of surgical procedures. The knowledge of how each individual kidney is functioning can dramatically affect the plans to surgically remove a kidney stone or remove an entire kidney damaged by infection or tumor. Thyroid Scintigraphy provides a visual display of functional thyroid tissue following the administration of a radionuclide that concentrates in thyroid tissue. Thyroid scintigraphy can provide valuable information regarding both thyroid anatomy and function and can play an integral role in the diagnosis and management of thyroid disease. Because of the equipment and radioisotopes used, thyroid imaging is not generally performed in general veterinary practice in the United States; however, it is available at most veterinary colleges and certain veterinary referral institutions. By far, the most common reason for thyroid scintigraphy in veterinary medicine is the evaluation of cats with hyperthyroidism. Thyroid scintigraphy is particularly useful in cats without palpable thyroid enlargement. 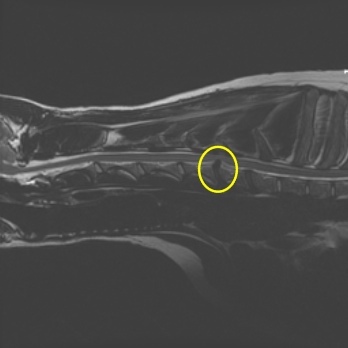 Scintigraphy of thyroid tumors in dogs can provide information regarding both functional status and extent of disease and have important implications for treatment and prognosis.